Have you scheduled swimming pool installation in Salt Lake City? If so, it’s time to get ready for summertime fun for years to come. 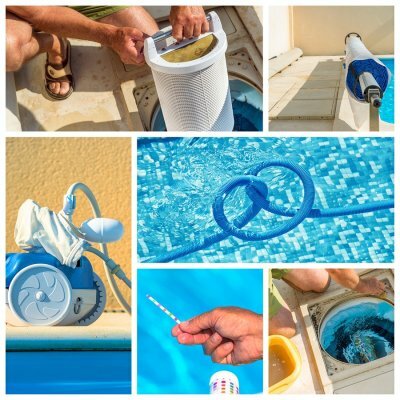 You know that you’ll have to be prepared to complete pool maintenance and cleaning on a regular basis, but you may also be wondering what to expect during pool construction. Continue reading for an overview of the swimming pool installation process. First, you will need to meet with your pool contractor to choose a pool shape. The pool installer will need to see your yard to determine what pool shape will work best there. Once your swimming pool has been designed, it will be staked out in the ground so that the pool installers will know exactly where to begin construction. Professional pool contractors will be able to safely excavate the area where your swimming pool will eventually be. This process will involve digging up and removing the dirt, rock, and debris from the area. Once this is complete, plumbing pipes will be run to the pool area, along with electrical lines to power the pool equipment. Your pool installation team will use steel rebar to construct the framework for your swimming pool. This strong material will help to ensure that your pool remains safe to use for years to come. Concrete will then be placed in the frame, and your swimming pool structure will be carefully smoothed and sculpted. As your swimming pool structure cures, hardscaping such as walkways, patios, and even an outdoor fireplace can be built around the pool. 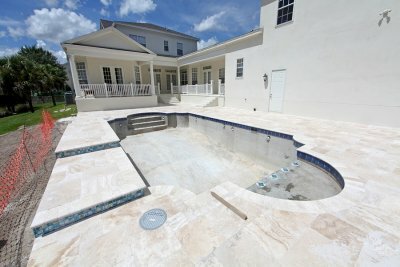 The final step of pool construction is to finish the interior of your swimming pool. Tile will be installed where the waterline will sit, and the swimming pool finish will be applied throughout the rest of the pool. Plaster, aggregate, and glass tile are some of the finish options that you can choose for your new swimming pool. Next, the pool equipment will be installed, and your new pool will be filled with water. The final step will be to balance the chemistry of the water.